Gov. 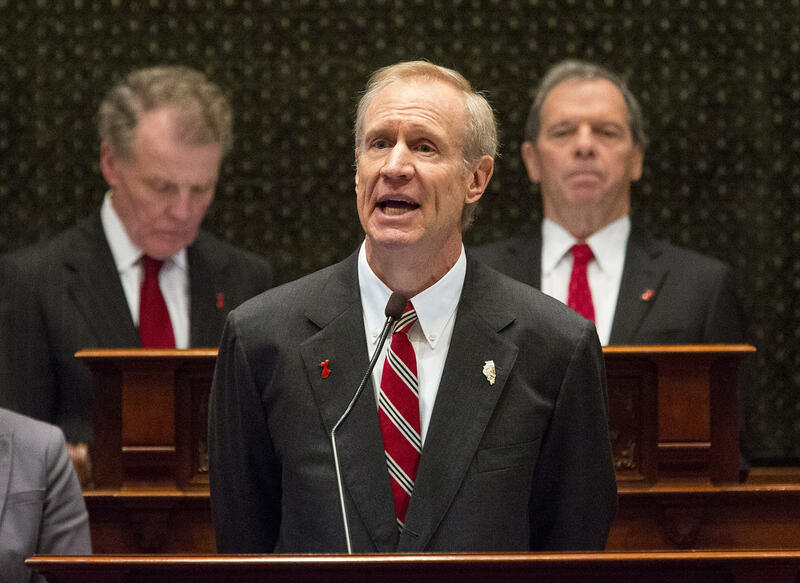 Bruce Rauner delivers his 2017 budget address in the Illinois House, flanked by House Speaker Michael Madigan, left, and Senate President John Cullerton, right. Rauner is trying to reassert his role in budget-making, after more than a dozen fellow Republicans sidelined him last summer, working with Democrats to end a two-year stalemate. Democratic Senate President John Cullerton came out of the meeting with a relatively optimistic take: "The process will be much easier because the governor’s assuming a lot more money than we had in the past." Cullerton says Rauner is essentially acknowledging Illinois needs the extra money raised by last year’s tax hike — though Cullerton says that does undercut the governor’s campaigning against higher tax rates: “Yeah, it doesn’t square. It’s hypocritical and inconsistent." For his part, Rauner is still urging lawmakers to take up his business-friendly, union-weakening agenda. But unlike years past, he doesn’t seem to be making it a prerequisite for negotiating a budget.